birth to an indus­try. From Fifth Avenue soci­ety to the halls of Con­gress, their rival­ry was relent­less and leg­endary. 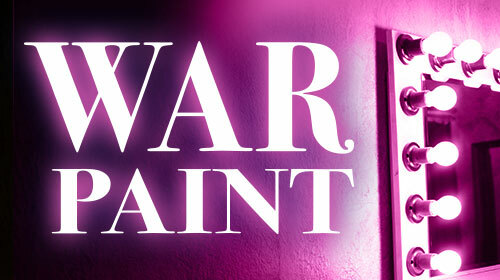 War Paint is pre­sent­ed through spe­cial arrange­ment with Samuel French.